There’s something about a walk and pub combo in winter that makes you feel both virtuous (without the need for Lycra) and cossetted (that’s the pub bit, obvs). And in Glos and Wilts, we’re utterly spoilt for choice. This list but scratches the surface of great rambling and public house pairings; I’ve tried to cover a few geographical bases here and no doubt you’ve got your own favorites, which the muddy hound (here he is on the scent of a good pub) and I would be more than happy to check out, so do get in touch. We’ve just discovered the amazing Cotswold Discovery Trail, a really cool new way to explore the Cotswolds. A stunning map will take you on two day-long trails (one in the north Cotswolds and one in the south) for you to follow by car and explore on foot at the many Cotswold highlights set out on the routes. The maps are designed as treasure trails, with loads of information to uncover and questions and clues to answer on the way that illuminate and enlighten further on your surroundings. Got Mudlets? The Pack, which will be sent to you in the post, also includes activities for them including the Local Logo Challenge, a compass and car stickers. 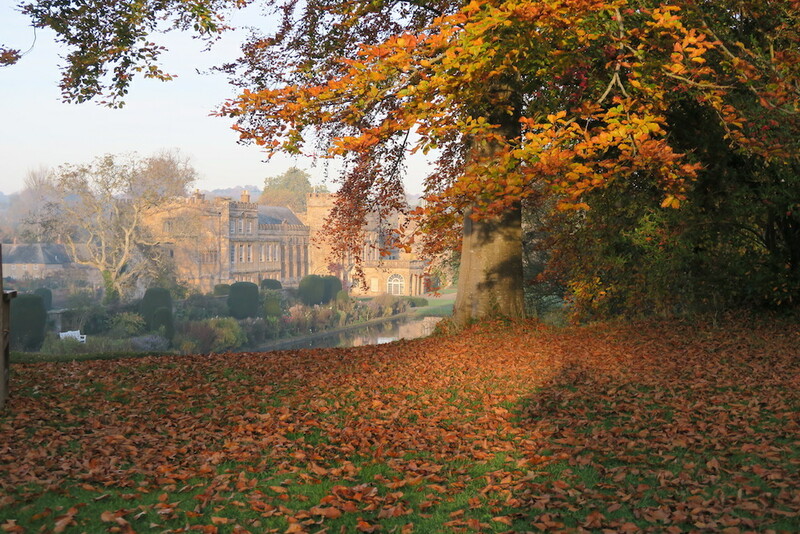 The gardens and grounds of the former Cistercian Abbey are spectacular at this time of year: golden, moody and sooo Instagrammable. Hop in the car and whizz over to nearby Hinton St George to the 17th century The Lord Poulett Arms, newly under the management of the same team (ex-Soho Housers) behind The Talbot in Mells. 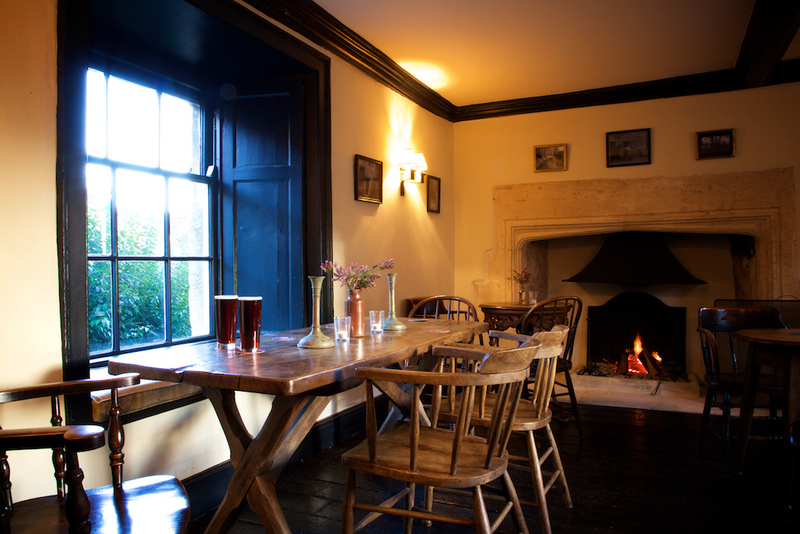 Find a seat by one of the fires and peruse a menu serving up Somerset twists on pub classics – so cider, rather than beer, battered fish and chips – and inventive fusion-style dishes like braised squid stuffed with chorizo. Or just have a pint. 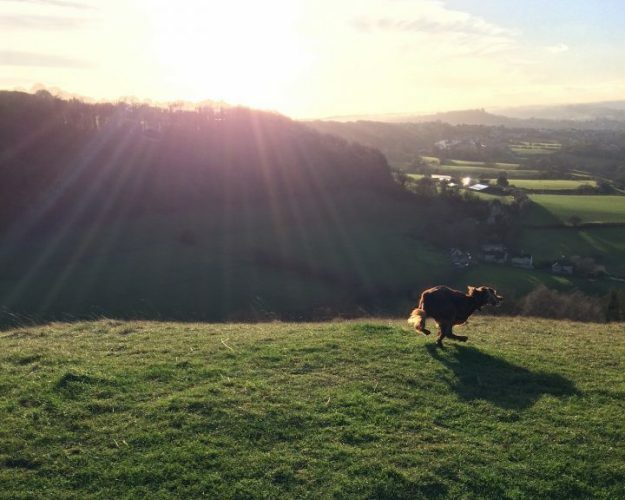 So many walks in this undulating area around community pub The Packhorse outside Bath – up out through the kissing gate at the top of the field, along the old canal, South Stoke Woods – that they’ve produced their own series of leaflets. 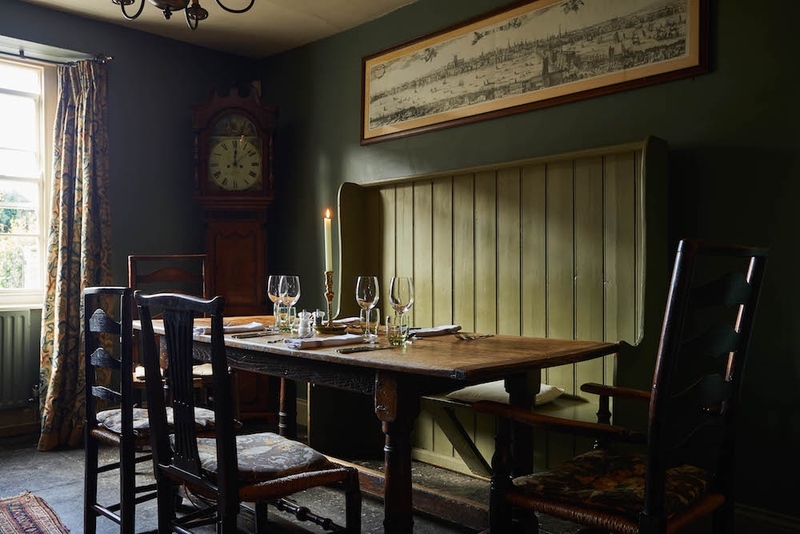 The Packhorse was saved from being turned into flats or offices earlier in the year and thank goodness: the 17th century building is fabulously atmospheric and the Autumn menu looks amazing (we’ve got our eye on the venison with tortelloni, roasted parsnips, broccoli and pickled blueberries but you can also have a sarnie). 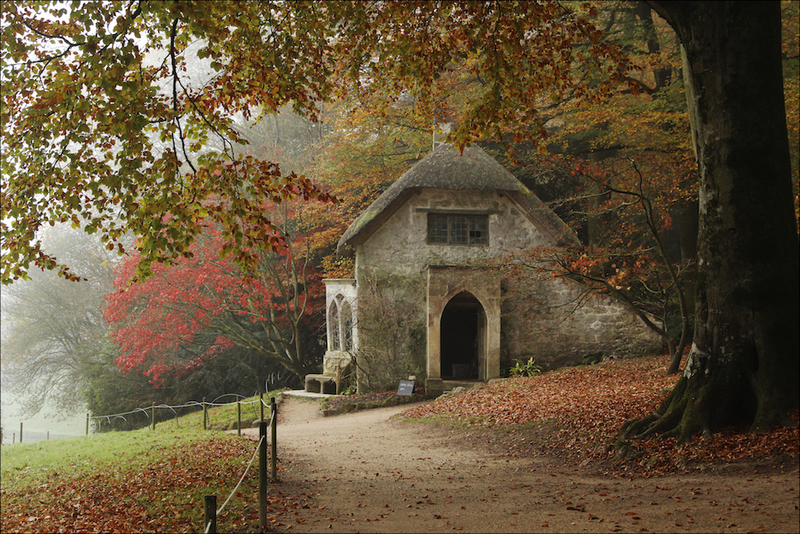 Must be one of the most spectacular Autumn walks in the whole of the country, Stourhead’s famous landscape gardens; with shades of red and gold specimen trees and a fistful of follies – mini Parthenon, Greek temple, grotto and all – reflected in the lake. And this amazing photo? Taken by Muddy reader and ace photographer Judith White. Stop for hot drinks, cakes and sometimes mulled wine in the Gothic cottage (above), hot choc or ice cream in The Parlour or a ploughman’s or the full monty lunch in The Spread Eagle, just under new management. Two easy, marked trails around a magical woodland with streams, ancient trees, and a dilapidated cottage (once now inhabited by rare bats. Aeons ago, part of the Somerset coal mining scene Harridge Woods near Radstock, is now a nature reserve run by the Somerset Wildlife Trust. 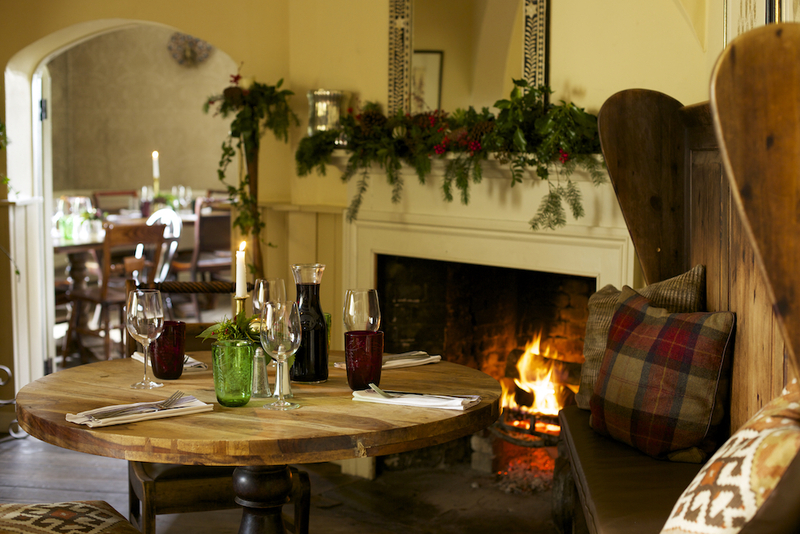 The cosy Oakhill Inn‘s got a reputation for great food, with a midweek 2-course lunch for £15, cream teas Sat & Sun and stonking Sunday lunches. Stay over in AA 4* rooms if you can’t bear to leave. 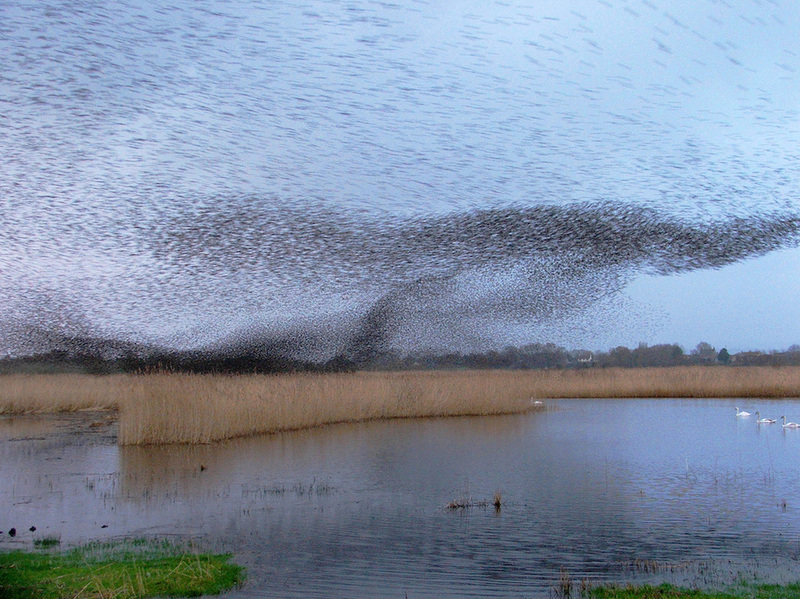 Starling time again on the Avalon Marshes, but you have to be up at dawn (eek) or get over there at dusk to see one of nature’s most amazing phenomena, the swirling shapes made by thousands and thousands of starlings coming to roost in the reed beds. Call the starling hotline 07866 554142 to find out whereabouts they’re expected to appear that day. Awesome photographer Lynne Newton captured this shot. So a spot of nature in the gloaming and then into the warm embrace of The Sheppey? 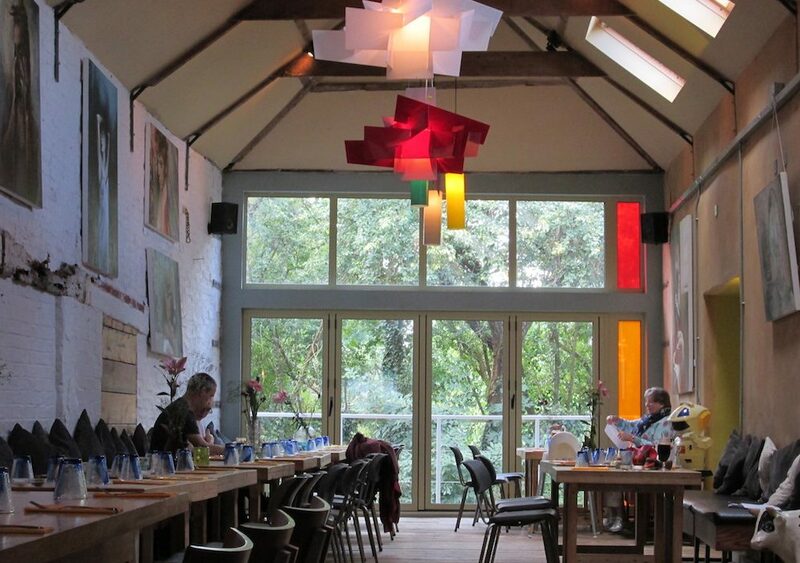 Not your usual Somerset boozer, this place has been described as a cross between the Glasto VIP glamping area and posh gastropub, with electic decor, fab food, a wide selection of booze, including 10 types of ciders and brilliant live music. You must book for Sunday lunch. You could do this on foot but it’s a hefty 13 miles, so might be best to get on yer bike. The circular route takes in parts of the Kennet & Avon Cycle Route (including the spectacular Tucking Mill Viaduct) and the Colliers Way, linking central Bath, Midford, Monkton Combe and beyond via the Devonshire Tunnel and the Combe Down Tunnel. At just over a mile long, the latter is the longest cycle/walking tunnel in the UK, with an interesting AV installation inside. Stop off at the historic Hope & Anchor (on the Colliers Way section), for coffee, ales, homemade lunches as well as paninis, burgers and pies. Where does the Anchor come from? Barges on the now defunct Somerset canal used to pull up alongside. Huge forest and lake criss-crossed with paths, with dens to build, streams to stomp in and a long rope swing. Walk up to the sculptures at Heaven’s Gate for far-reaching views of the Longleat Estate at your feet. 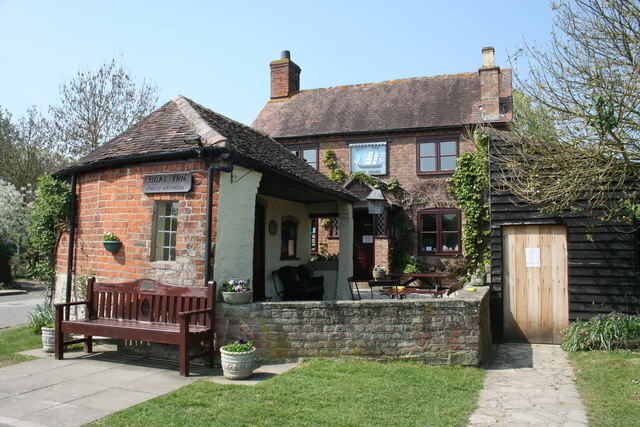 Just up the road, The Bath Arms at Horningsham, is on hand for a Bloody Mary and gastro nosh up, from sandwiches (fish finger and tartare foccacia anyone?) to a full roast. Take a trip on the West Somerset railway, starting at Minehead but getting off the train at Dunster (time to visit the castle?) on the return journey. Then walk into Minehead and eat at the trad pub The Old Ship Aground on the harbourside (be sure to book). The food’s said to be delicious. Vegan haggis anyone? This gorgeous little village nestling in the valleys outside Painswick (once part of a Royal Deer Park for Henry VIII, don’t you know?) is the kind of place that makes you feel, “Yes! I love living in the country!” It’s picture perfect with rolling hills to trample over (but nothing too strenuous), cute cottages and grand houses to peep into and imagine yourself living there, one of the most beautiful cricket pitches in the country (note for summer) and a cosy, friendly pub. 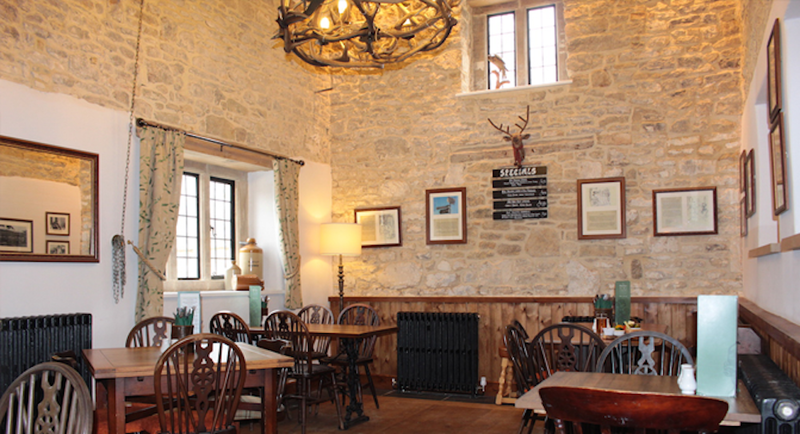 The Butchers Arms has been around since around 1670 and gets its name from the olden days practice of hanging the carcasses of deer killed on the hunt in what is now the bar. 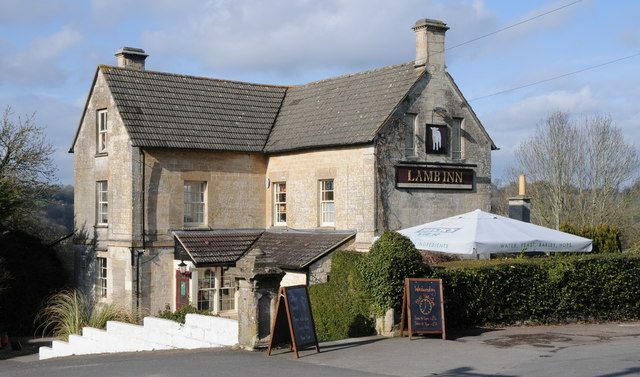 No sign of that these days though *phew*, just a good, old-fashioned pub (once a Laurie Lee favourite) serving fresh, homemade food. Children are actively welcomed – there’s a children’s menu or they can choose half portions from the main menu. As for the walk, there’s a nice circular ramble that takes you through the village (small detour for the cricket pitch if you fancy it) and into the hills, passing through back gardens and past the odd alpaca and looping back to the pub in less than an hour. All extremely child, dog and adult friendly. This wet dog and muddy boot (stilettos too!) friendly pub is an absolute gem. It’s a bit tricky to find, but you’ll know you’re nearly there when you pass a massive tithe barn (one of the largest in the country, worth a gander). The Boat Inn is on the west bank of the Severn which is where your walk is; there’s a riverside path that hugs the bank all the way to Haw Bridge, about three miles away, and then, if you really like walking, you can turn away from the river and make a loop back through tracks, fields and lanes. 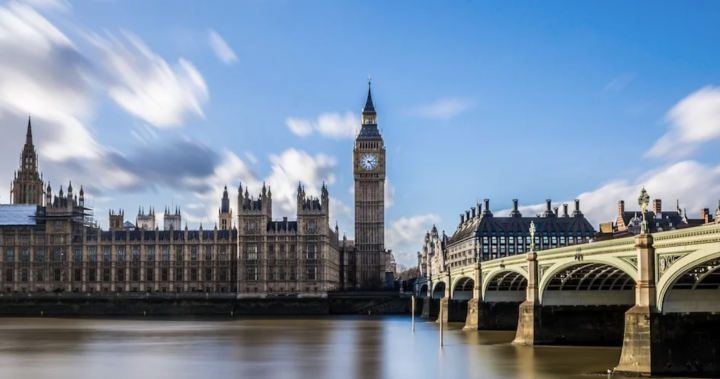 It’s a long one, seven miles, or you can just amble along the riverside until you’ve had enough and then turn back and head to the pub (hurrah!). A tiny establishment that feels like walking into someone’s front parlour, the main bar area (there are two other, less atmospheric rooms) is made up of two adjoining spaces which encourage sociability as there are only two big tables to sit around. We shared ours with a group of cyclists and a woman who turned out to be a font of local knowledge, while at the other table, some real ale aficionados discussed the subtle notes of Blitzen and Shagweaver. We didn’t eat, but the cyclists told us the burgers are legendary and prices looked reasonable. Perched at the top of one of Stroud’s Golden Valleys, Eastcombe is a pretty village that snakes its way from the top of a hill, where The Lamb Inn sits majestically, down into Toadsmoor Valley, where a fairy-tale wood, babbling brook, mini waterfalls and huge, reed-strewn pond await for a magical walk that takes from an hour to an hour and a half depending on your route. Home to deer, pheasant, perch, kingfisher and other furry, feathery and fishy creatures, it’s a great place to get lost in a Brothers Grimm-style reverie, and there’s plenty to keep kids and dogs entertained, too. The lanes leading down from the pub and back up are STEEP, which is fun on the descent, but gets the heart really pumping on the way back (that’s your weekly cardio session sorted) and, hey, you’re within spitting distance of the pub by then where you can line up the pints to slake that thirst. The atmosphere in The Lamb is relaxed with a good mix of regulars and visitors so you don’t feel awkward when you walk in if you’re the latter. It’s divided into two spaces – a bar and a restaurant, where you can dine off an extensive and reasonably priced menu of British classics, bistro favourites and grills that go beyond pub grub, and feast your eyes on the glorious view of the valley, which, come warmer weather, can be enjoyed from the perfect vantage point of the pub’s garden. 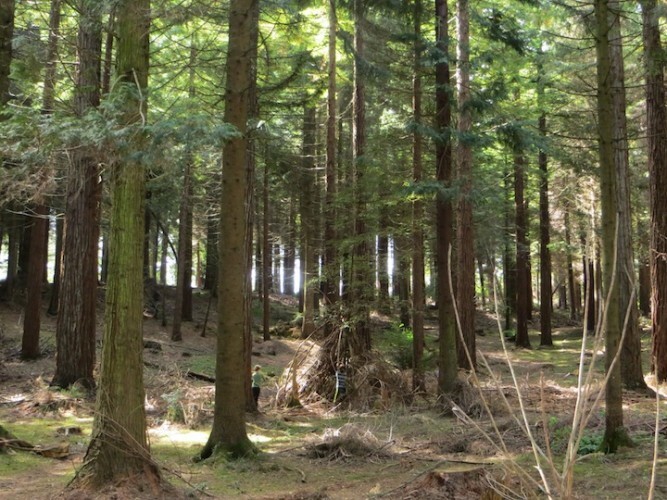 Here you can either take a stroll into the Bathurst Estate woods or walk to the source of the Thames! I made like a Victorian Royal Geographical Society explorer (not the Nile, I know, but still a major river, hey) and opted for the latter, which takes you from an impressively grand tunnel (after which the pub is named) along a leafy towpath of a disused canal (quite deep at the start – the muddy hound jumped in after a duck and it was quite a rescue operation to get him out – so hang onto your toddlers). After about half an hour you reach a field and, over a stile and into the next field, there it is! The source of the Thames! Don’t expect water though (unless it’s been raining a lot and the fields are flooded), it’s all happening underground. From little acorns and all that. Then, selfies duly taken by the stone that marks the spot, it’s back to the pub retracing your steps. 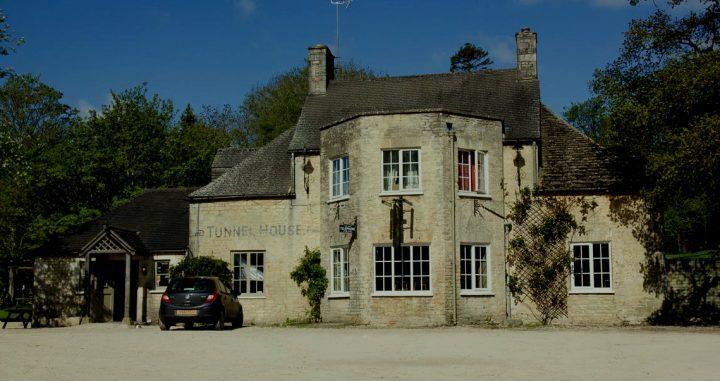 The Tunnel House, a good-looking, 18th-century pub, has a laid-back, youthful vibe thanks to the students from the nearby Royal Agricultural College who flock here. (No bad thing in my view – makes me feel vicariously young again!) 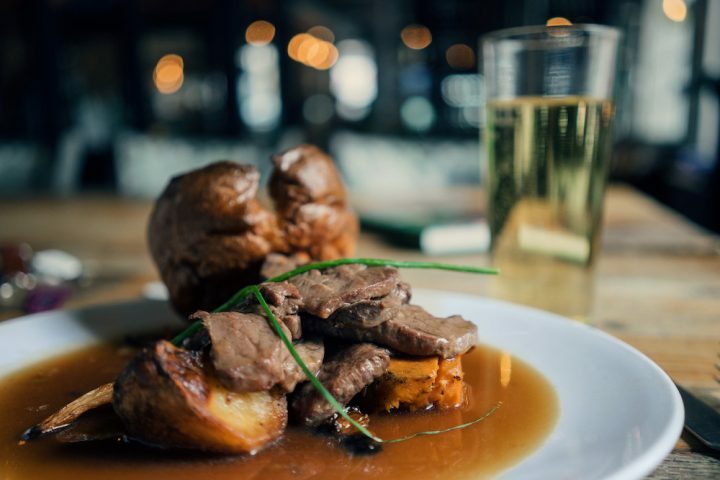 There’s a roaring fire with sofas to slump into, cosy corners where you can nosh on British and American classics (from Sunday roast to BBQ ribs), a kid-friendly restaurant area and a large garden complete with wooden climbing frame that really comes into its own in summer. Pretty perfect I’d say. OK people, set your phone camera to panorama mode, you’re in for a view fest. 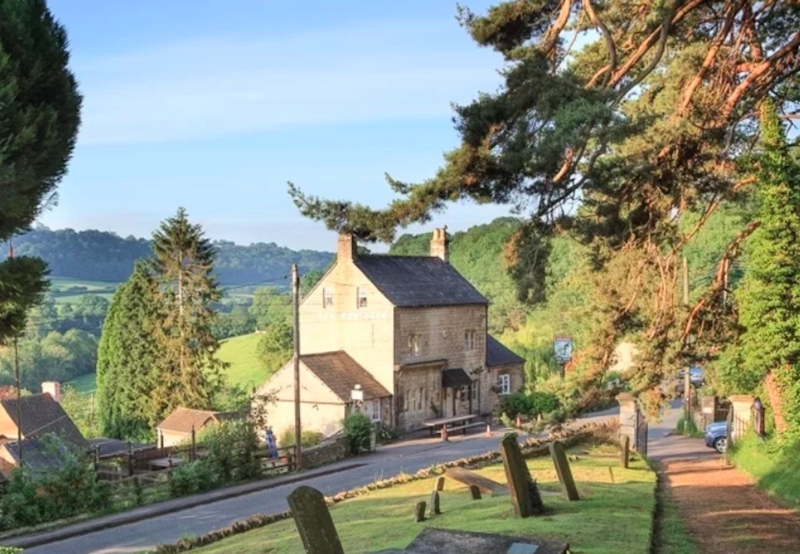 Up above the village of Uley (and a mere ten minutes’ walk or so from the cosy Old Crown Inn) is Uley Bury, a prehistoric Iron Age hill fort sitting high up on a natural promontory of the Cotswold escarpment. It’s a bit of a climb, but you’ll be totally distracted from your heaving chest by the glorious Severn Vale spread out around you. Once we got to the top of the first hill, my mudlets decided it would be a laugh to roll down it, so after a quarter of an hour we could have just walked back to the pub, all mudlet energy duly expended. However, it is worth carrying on through an ancient forest and up to the double ramparts of the fort. From there the views are take your breath away and if you time it for sunset, you’ll get a real treat. You can do a circular five-mile ramble or stick to a quick two miler if you retrace your steps once you’ve walked the ramparts and head back to the pub. Here you can soak in some 17th-century history. The Old Crown was a former coaching inn, serving the then thriving weaving community, which accounts for the rather grand houses in the village. The pub, though, is friendly and unpretentious and serves solid pub grub at very reasonable prices. Real ale, pie and steamed pudding lovers prepare for a feast. 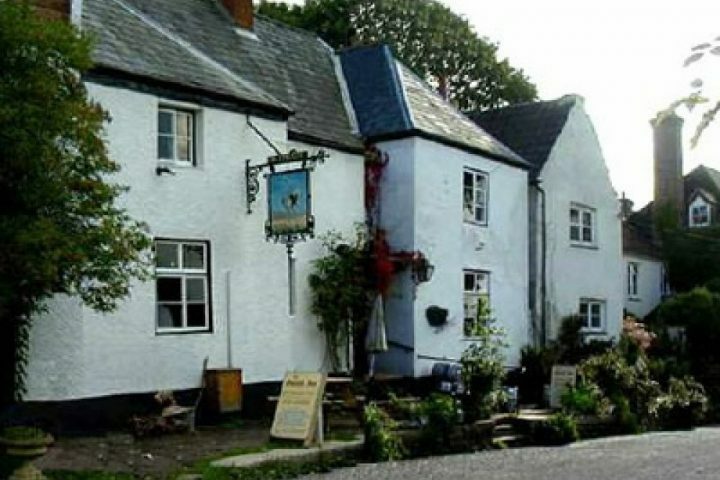 If you like your pubs traditional and your walks steeped in history, The Ostrich Inn in Newland on the edge of the Forest of Dean will be your pint of real ale (and there are up to eight on tap here). The village is prosperous looking with some handsome residences and a cute row of almshouses, but the focal point is undoubtedly the church, known as the Cathedral of the Forest. The walk, along the Burial Path, links Coleford to Newland and is the route the people of Coleford, who were without a cemetery until the mid-19th century, would take to carry their dead to be buried in All Saints’ ground. It’s an hour and a half round trip and takes in some stunning countryside through woods and fields, though I wouldn’t attempt it on a wet day, as sections of the path, rough at the best of times, would quickly become a quagmire. (Don’t know how the pallbearers managed.) 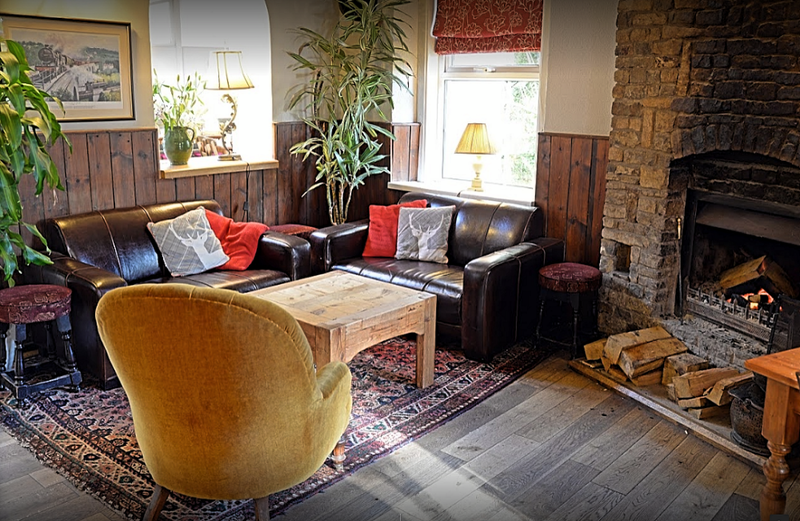 The Ostrich is everything you want in a pub – cosy interiors that haven’t been ‘styled’, great beer (there’s a rolling menu of ales on offer) and top-notch, gastro-level food served without any pretensions (though you do pay for it).